Born at Belle River, Quebec in 1850, he was educated at the Carillon Academy. Coming to Manitoba, he established a mercantile business in the French settlements west of Winnipeg. 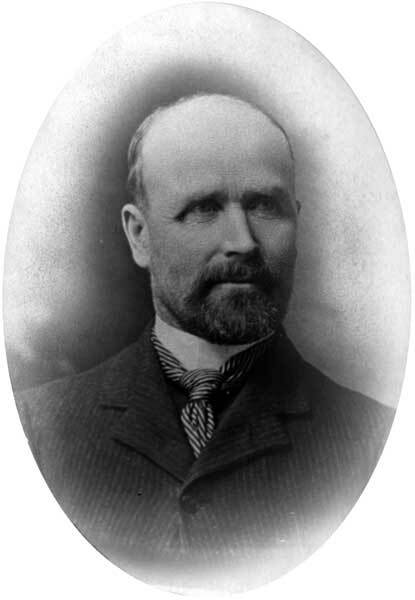 He was postmaster at Baie St. Paul from 1878 until he was elected to the Manitoba Legislature at the general election in January 1883, as member for Baie St. Paul. He was for a time Warden of the Rural Municipality of Belcourt and was a member of the Board of Agriculture and Statistics for Manitoba. He retired from public life at the expiration of his term in 1887 and, a few years later, moved to Ottawa, Ontario. He died there on 14 September 1924.